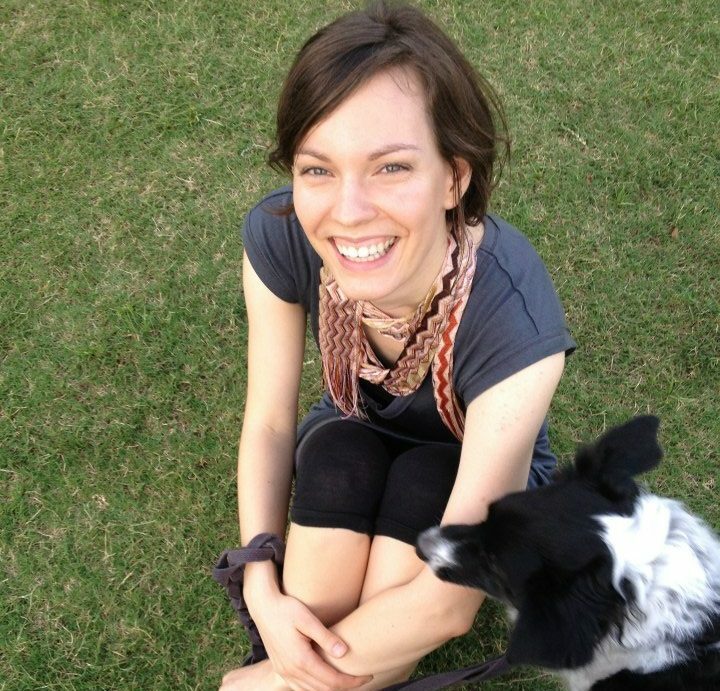 Caitlin is the founder, owner, and head trainer of Life Dog Training. Caitlin has loved animals since she was a little girl. Her list of pets growing up ranged from guinea pigs, cats, gerbils, fish, mice, and anything she could catch in nature. 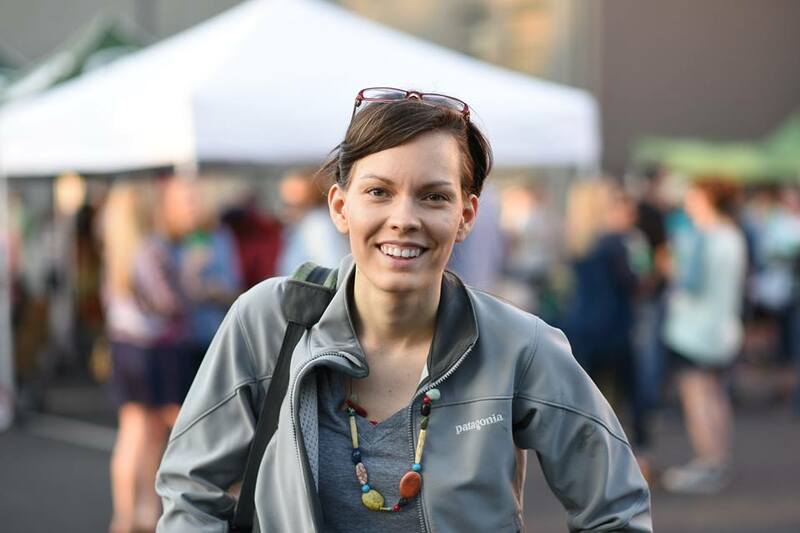 Her interest in dog training began in middle school when her family adopted their first rescue dog, a Shetland Sheepdog named Tasha. She soon began checking out every dog book at the library she could get her hands on. Her Border Collie, Mack, was her first real effort at training a dog of her own. 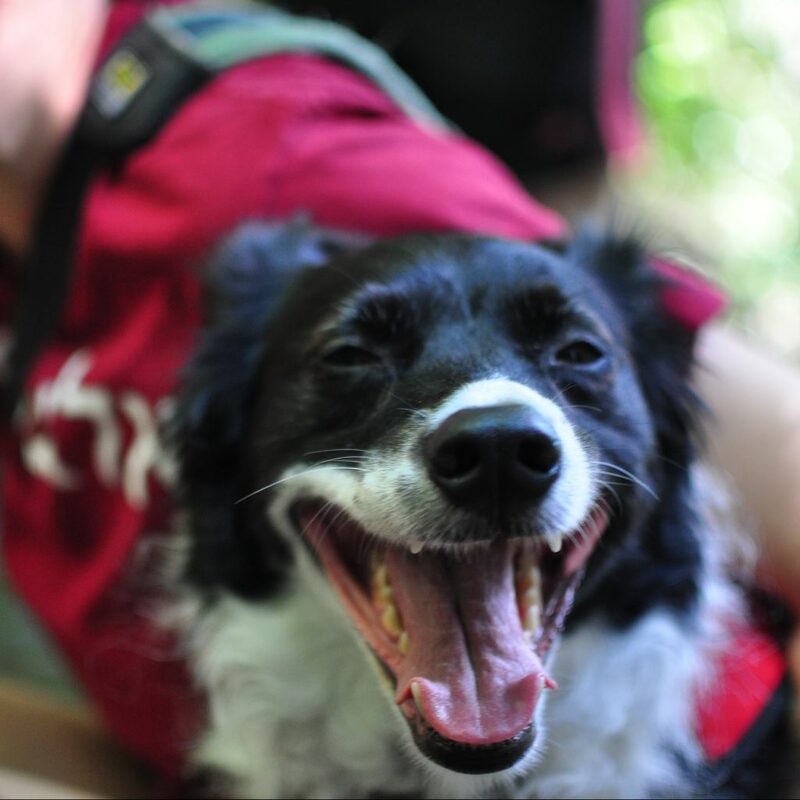 As a Border Collie, Mack was a pleasure to train with his intelligence and willingness to please but also a challenge with his “one step ahead of you,” “think for himself” personality. Not to mention some of the quirks he had coming from a rescue situation. Caitlin taught Mack a word list of over 90 commands, he traveled the country with her for work; he lived out of hotels and campgrounds, he adapted to dozens of unique living situations with unique people, animals, and landscapes, and she says, “it has been a joy, and it has made me appreciate the value of a dog being able to adapt”. 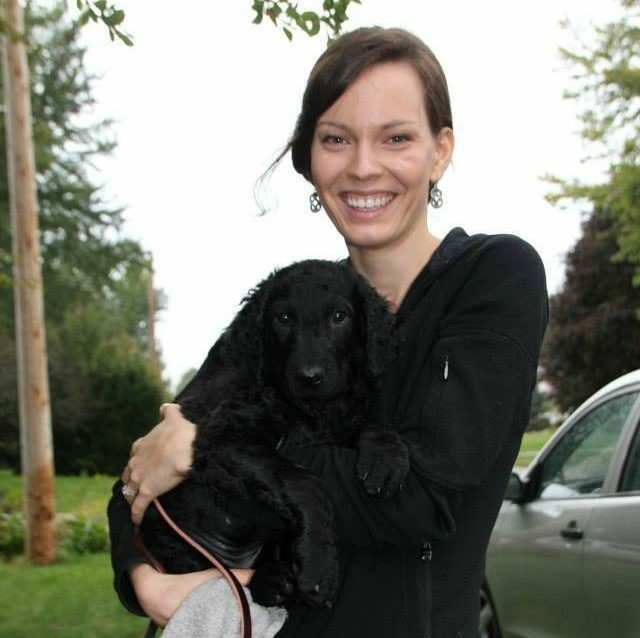 Since adopting Mack, Caitlin went onto pursue dog training as a career. Through seeking out ongoing learning opportunities she continues to learn from a wide variety of trainers, who employ a variety of methods. She holds strong that there is almost always more than one way to teach something, but finding the best approach to try for each one requires knowing the dog, the life situation, and most importantly, the owner and family. She is a huge advocate of the Sirius Puppy style of raising puppies, and she says, “She has a deep respect for trainers like Ian Dunbar, who have contributed so much to the field of dog training”. Mack is an eleven-year-old Border Collie, Australian Shepherd mix. He is well-traveled and a great teacher to other dogs. He likes cats and lives for food. He is a great adventure buddy and my original guinea pig for anything new. He is extremely smart, very goofy, sensitive, gentle, a bit mischievous at times, and he absolutely loves people. He is a one of a kind. 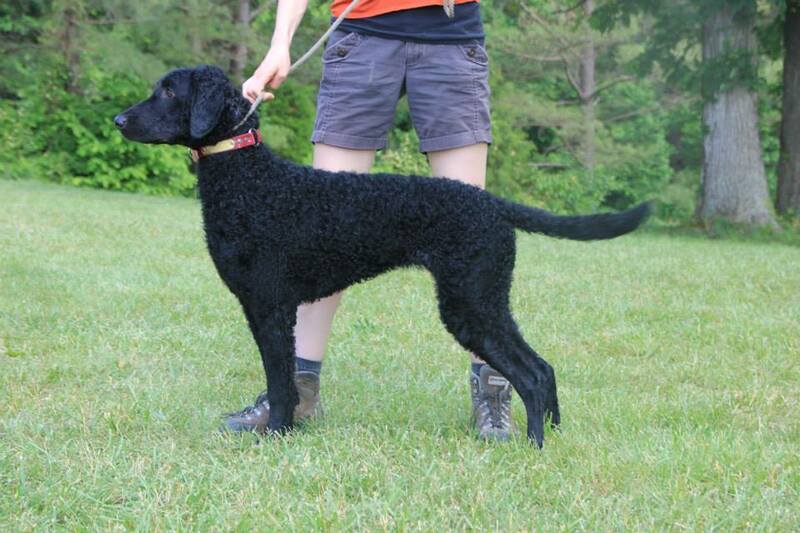 River is a four-year-old Curly Coated Retriever. She is in love with birds, water, food, people, and dogs. She loves touch and thinks she is a lap dog. She is clumsy, physically tough and emotionally sensitive. She is great at slapstick comedy and keeps us laughing. She is a completely different type of dog to train than our Border Collie, Mack. She is also fantastic with kids and puppies. She’s my confidence builder for shy dogs.